Moritz Moszkowski: (b Breslau, 23 Aug 1854; d Paris, 4 March 1925). German pianist, composer and conductor of Polish descent. Born into a wealthy Jewish family, he received his first musical tuition at home, showing exceptional talent from an early age. In 1865 the family moved to Dresden, where Moszkowski was accepted at the conservatory. Moving to Berlin in 1869, he studied at the Stern Conservatory with Eduard Frank (piano) and Friedrich Kiel (composition), and subsequently at Theodore Kullak’s Neue Akademie der Tonkunst with Kullak himself (piano) and Richard Wuerst (composition). While still only 17 he accepted Kullak’s invitation to join the staff at his academy, where he taught for over 25 years. In 1873 he made his successful début in Berlin as a pianist, and quickly acquired a reputation not only as a brilliant virtuoso but also as a fine interpreter of the Classical and Romantic repertory. He was also a competent violinist, sometimes playing first violin in the academy orchestra. Among his early compositions were several substantial orchestral works, most of which have been lost. These included a piano concerto, first performed in Berlin in 1875 and admired by Liszt, who subsequently arranged a special concert in which he and Moszkowski performed the work on two pianos. During the 1880s Moszkowski began to suffer from a nervous disorder which resulted in a premature end to his activities as a travelling virtuoso. Thereafter he appeared only occasionally as a pianist and concentrated more on composition. He also gained some recognition as a conductor, and it was in this capacity that he made his first visit to England in 1885, at the invitation of the Philharmonic Society, which later granted him an honorary life membership. He was elected a member of the Berlin Akademie der Künste in 1893. In 1897, while at the height of his fame, he settled permanently in Paris, having married the sister of Cécile Chaminade. By this time he had become considerably wealthy, mainly due to the immense popularity of his piano music. He was also much in demand as a teacher, and his many piano pupils included Josef Hofmann, Wanda Landowska and Joaquin Turina. At the suggestion of Messager, Thomas Beecham went to Moszkowski for coaching in orchestration in 1904. From about 1910, however, Moszkowski’s fortunes went into decline. He began to suffer from ill health, lost both his wife and daughter and saw his popularity fade as musical tastes changed. He became a recluse, and his creative output virtually ceased with his loss of ambition and enthusiasm. He invested his wealth in German, Polish and Russian securities, which became worthless after the outbreak of World War I in 1914. His remaining years were spent in poverty, although in 1921 some of his old friends in the USA arranged a testimonial concert for his benefit at the Carnegie Hall. This spectacular event, during which 14 pianos were played simultaneously by some of the leading pianists of the day, raised some $10,000, although the proceeds did not reach Moszkowski until the year of his death. Moszkowski had some early success with his orchestral works, but he made his reputation with his piano music, ranging from brilliant virtuoso pieces, well suited to both concert hall and recital room (Concert Studies op.24, Caprice Espagnol op.37, Tarantelle op.27 no.2, etc. ), to lighter salon music (Serenata op.15 no.1, Valse Mignonne, Guitarre op.45 no.2 etc.) and music for piano duet (particularly the three sets of Spanish Dances op.12, op.21 and op.65), then very much in demand for domestic music-making. Early influences include Chopin, Mendelssohn and, especially, Schumann, but he soon developed his own distinct style, which, if not highly original, confirms his intimate knowledge of the piano and how to write effectively for it, prompting Paderewski to declare that ‘after Chopin, Moszkowski best understands how to write for the piano’. His music, although limited in emotional range, is characterized by its glittering brilliance, innocent charm and immediate melodic appeal. 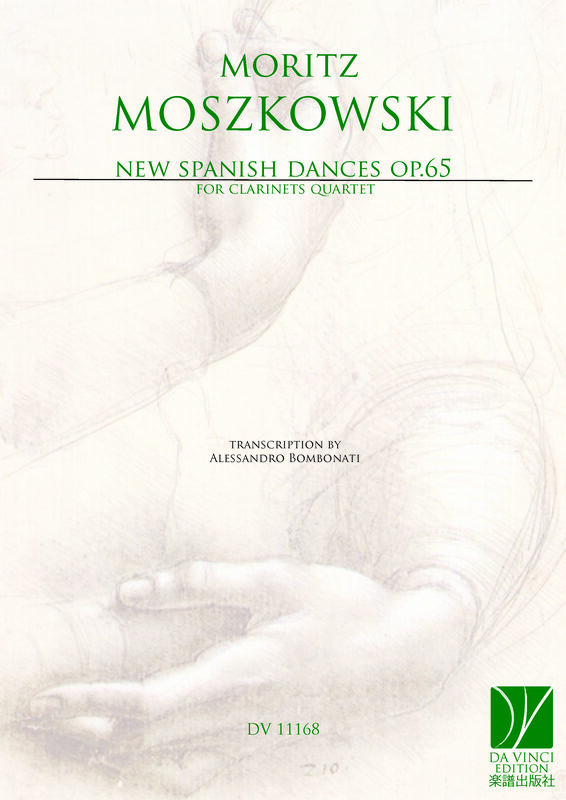 For many years Moszkowski’s music was largely forgotten. Renewed interest in his work, however, has seen the revival of the Piano Concerto op.59 and recorded surveys of his output for piano solo and duet.